LG1118 is not your ordinary smart watch — it is more than that. it offers tons of features for $35 and you can make it work with your smartphone. The first thing that will catch your attention is the design of the watch. It is modern and offers curvy squarish finish to it. With five colors, you will have enough options to get your favorite color. The current five colors that are available are Luxury gold, Nickelback, Luxury gold black, Tarnish and Nickel white. The smartwatch uses a super soft rubber band and pin buckle made up of stainless steel. The smartwatch is comfortable to wear and offers great aesthetic value as well. 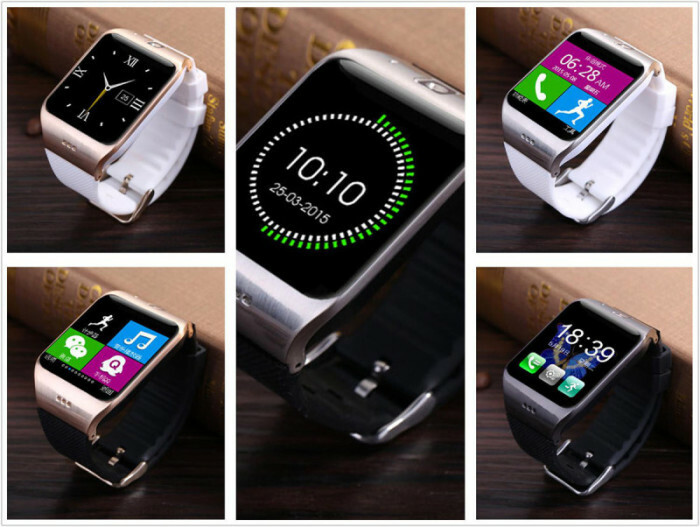 The display of the smartwatch is 1.54 inch wide and supports touch. Resolution wise it is 240 x 240 pixels. After the looks, comes the functionality. 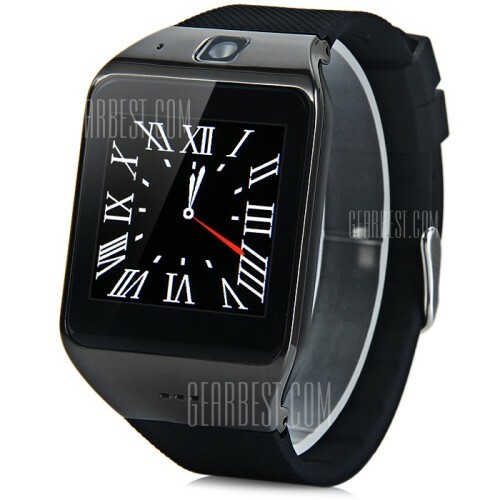 The LG118 smartwatch offers lots of features including a small 0.3 pix camera. With such low resolution, you might not be able to take great pictures, but it has the ability to connect to your smartphone and take pictures for you. This means that you don’t have to be the camera guy next time when you meet with your friends or family. Other important features include smartphone synchronization. The synchronization can be done using the APK file for your smartphone. It also offers great find phone feature. Losing phone has become so common these days and find your phone feature can really make you relax. Another great feature of the smartwatch is the pedometer. The pedometer takes note of all your movements, running and other vital stats and is a great pointer on how you are maintaining your health. Sleep is also an important factor and the smartwatch is smart enough to tell you on how well you slept last night. Great right? Yes, it is. One last health feature is the sedentary reminder. The reminder tells you to get off your chair once in a while .. keeping you healthy and awesome …just like the watch. For the media lovers, it offers video player .. which is quite good for the screen size it offers. The sports persons can also enjoy the watch as the watch is waterproof. It is also light on weight. With only 60g of weight, you will find it non-existent. The battery life of the smartwatch is 550mAh, which can easily last for 2-3 days of low to moderate usage. I really loved the watch..it is stylish, awesome and full of features. I would recommend it to anyone who is looking for the next smartwatch. The LG118 smartwatch is also good for gifting purposes. Loved the review? Share it with friends. Also, comment if you are going to buy the watch!